Electricity prices have risen over 35% in the last two years, and are likely to continue to increase. To counter these soaring energy costs, UNIShare has installed solar panels at Mawson Lakes. We hope to do the same at Pooraka when funds permit. 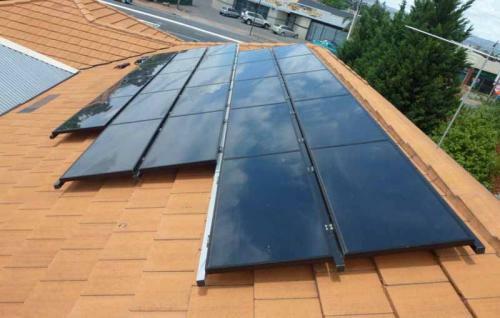 The shift to renewable energy will reduce our energy bills as prices continue to rise in years to come. UNIShare pays the utility bills on behalf of our tenants, and the savings will help us to keep rents as low as possible. 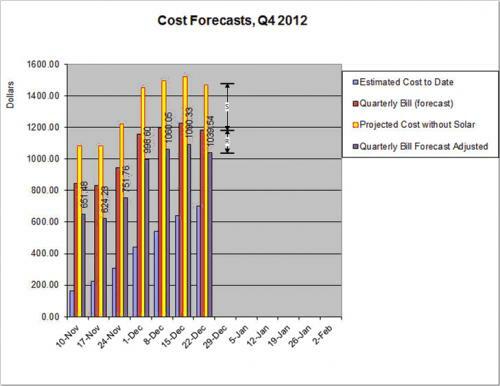 purple bars shows the final forecast bill, including additional savings due to selling power back to the grid (R).